The color of the sun and bright, ripe lemons, yellow is found between the color spectrum of green and orange. Taken from the Old English word “Geolu” or “Geolwe”, referring to, “Yellow” and “Yellowish”, the word yellow was initially derived from the Proto-Germanic word “Gelwaz”. 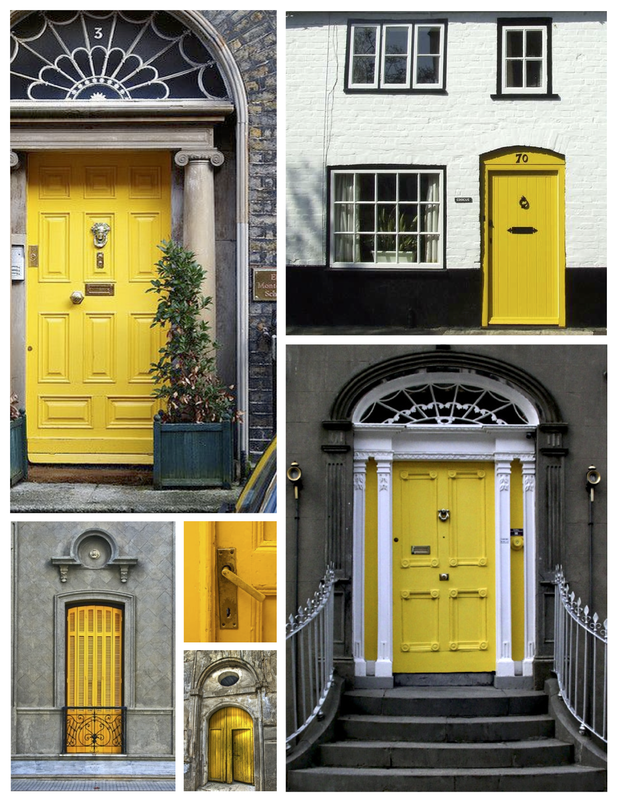 The English term “Yellow” is related to other Germanic words for yellow such as the Scottish word “Yella”, East Frisian “Jeel”, West Frisian “Giel”, the Dutch word “Geel”, the German word “Gelb” and the Swedish word “Gul”. 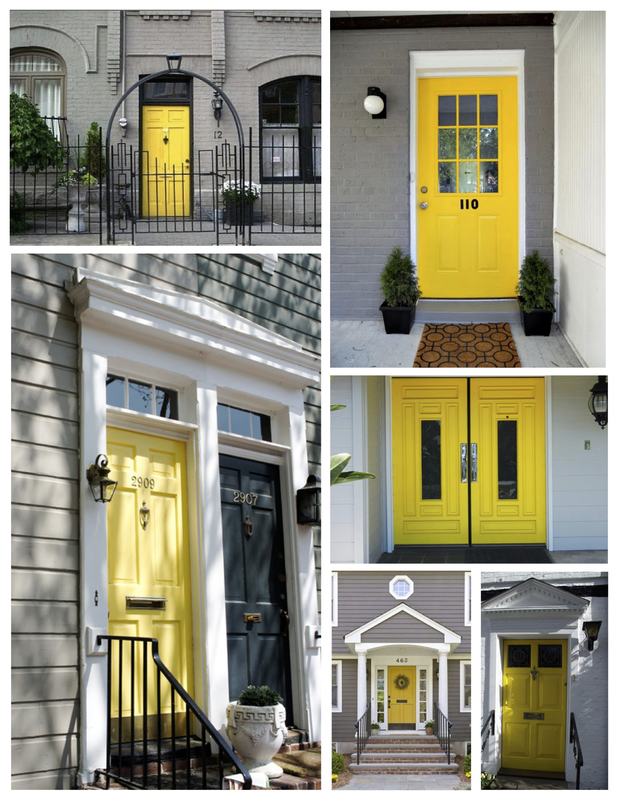 Quite a history of reference to this sunny color of cheer and bliss! Of additional interest, the word “Yellow” has the same Indo-European base as “Ghel”, which means to “Yell” or “Cry out” as well as “Bright” and “Gleaming”. 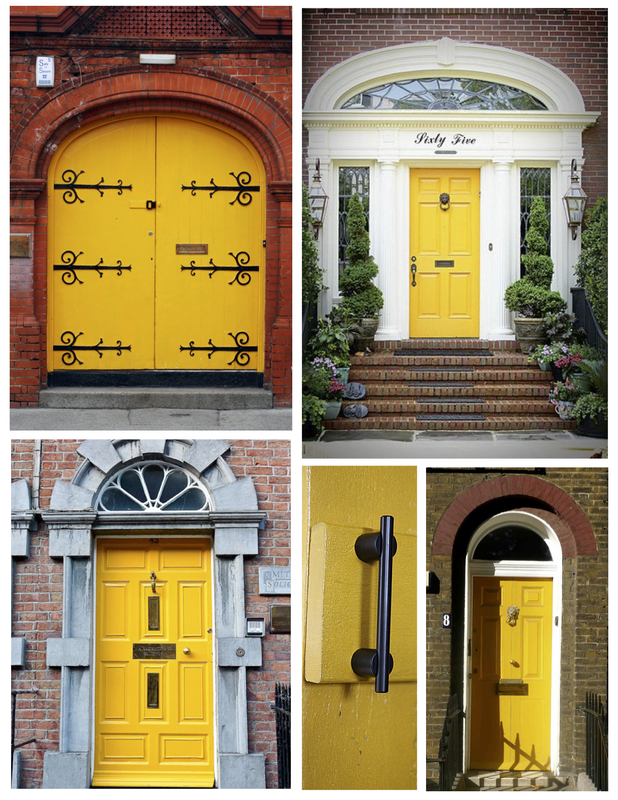 For certain, the color yellow cries out for attention. Attention seeking? Perhaps. 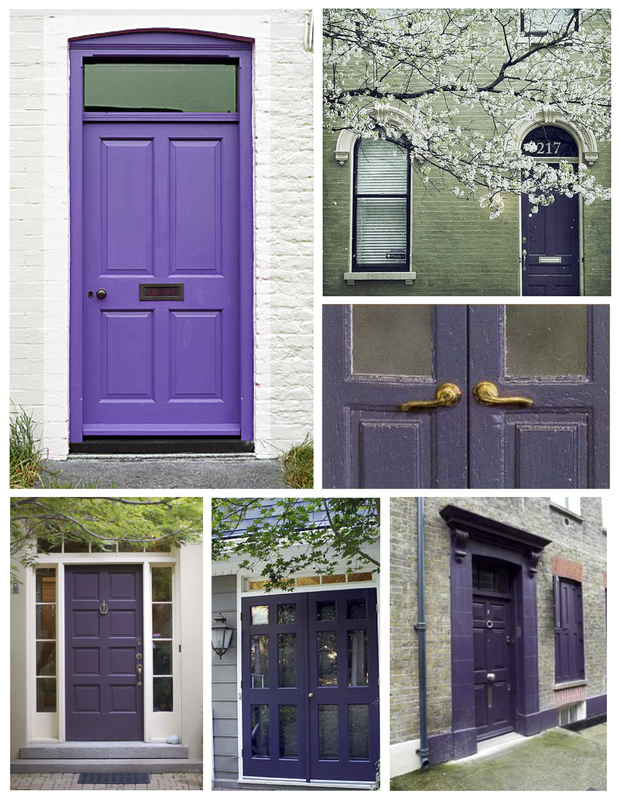 Although any exterior door painted in a distinctive hue requests attention and even seems to demand attention. But alas, shouldn’t the entrances to our inner sanctuaries be striking? 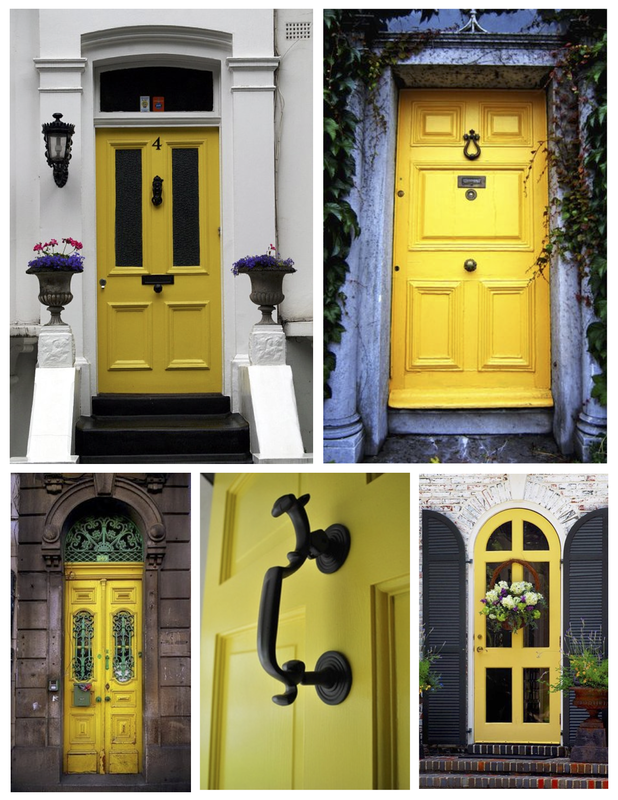 Our personal worlds behind vividly painted doors awaits! The majestic color of purple. 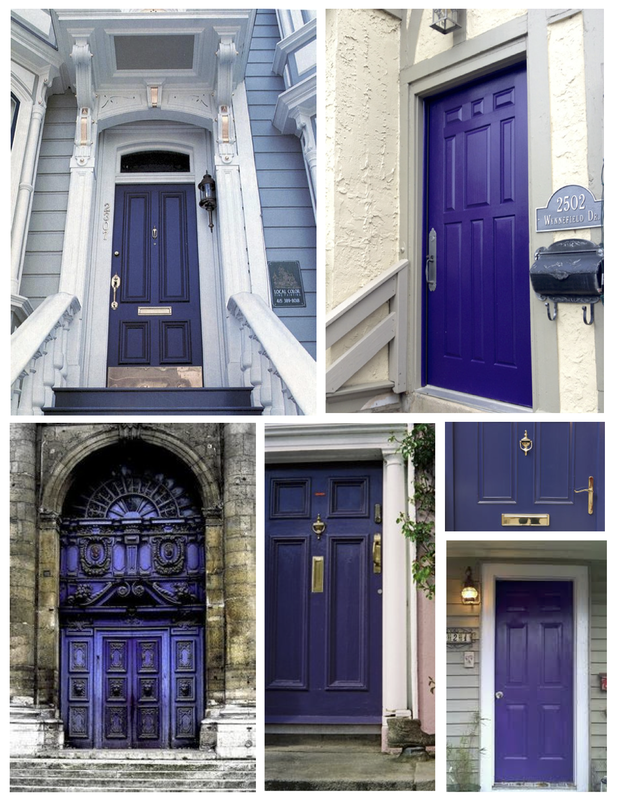 Although the dramatic and potent color is a bold choice for the exterior door, the appreciation of its richness in deep hues, brilliant delight of violet hues or the toned down shades of the lavender hue is worthy of our focus. 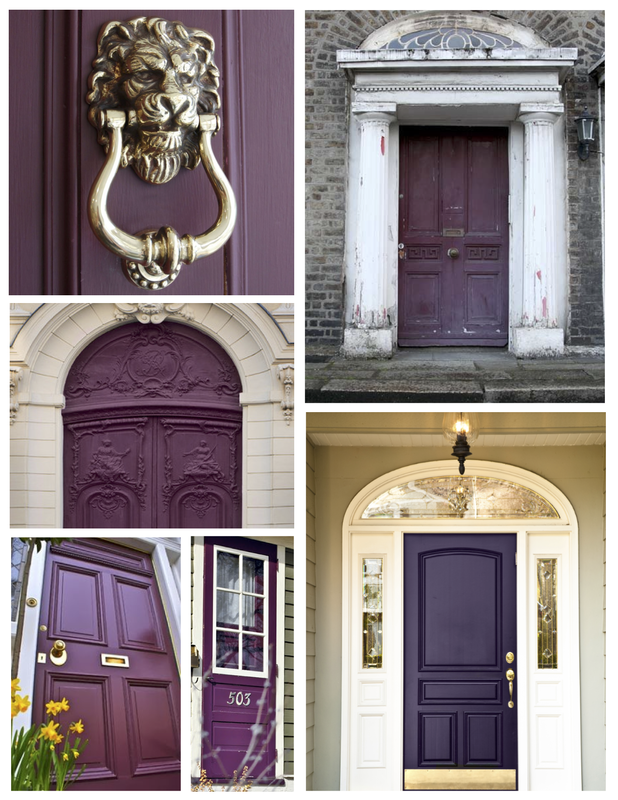 Of course, among the variations of this striking hue are “Aubergine” (French, referencing the dark color hue of an eggplant) or “Cabernet” (A dark, rich color that verges on red yet holds a purple hued cast) . 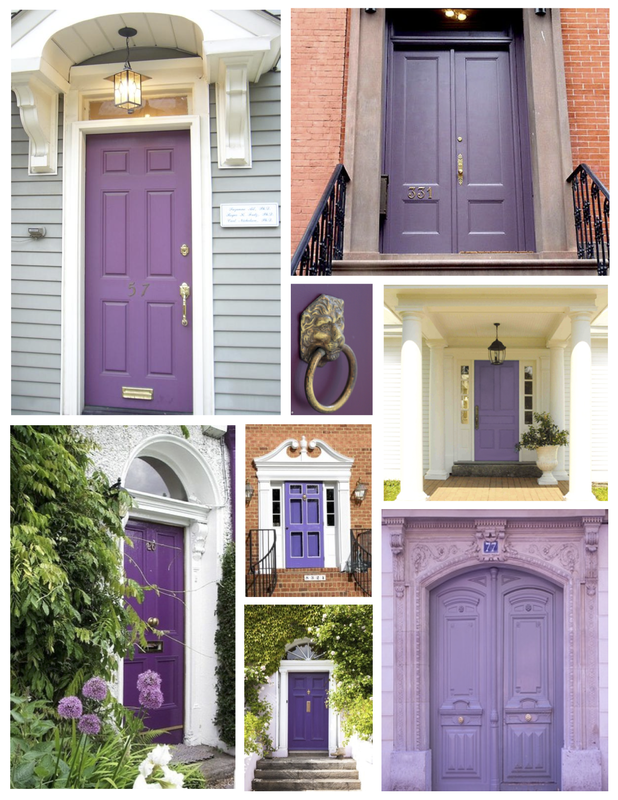 Deep variations of the regal and rich hue of purple. 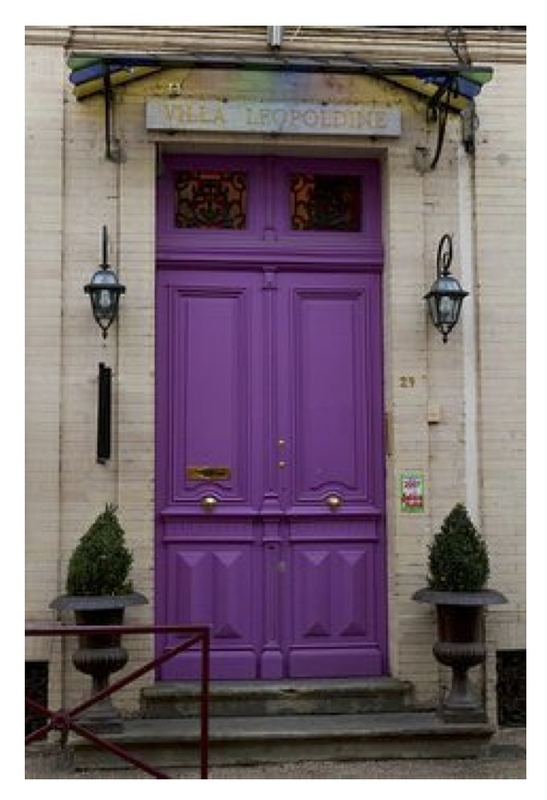 And of course…the softer side of purple…lavender bliss….